Like all wake-sports boats, this Supra is designed to serve up a variety of wave heights and shapes. It’s 6 o’clock on a Saturday morning in mid-June, and Bob Baiguy is headed out for a wakesurfing session. The 52-year-old from Windham, Maine, has a busy life as the parent of teenagers who have sports tournaments in the middle of the day, but he didn’t want to miss a chance to surf. Two years ago, Baiguy had a 19-foot Chaparral bowrider that was great for towing his kids — Mikayla, 16 and George, 14 — on a tube. Then Baiguy, who grew up surfing the coast of southern Maine, discovered wakesurfing, which requires a lot less paddling than traditional surfing and gives him more time on the board. He sold the Chaparral and bought a 2016 Axis T22 wakesurfing boat. It wasn’t long ago that an inboard water-sports boat was a 19- to 22-footer with a centrally mounted engine designed to throw as little wake as possible as slalom skiers zigged and zagged at 25 to 35 mph. Then wakeboarding hit, and the boats slowed to 18 to 22 mph, but they also got bigger, to make bigger wakes. Towers were added, and ballast systems were used to create bigger launch platforms for big-air tricks. Baiguy paid about $60,000 for his Axis T22, which had been traded in at the local dealer after a season and still had five years of warranty. He feels he’s getting his money’s worth. He’s not alone. According to Statistical Surveys, the ski/wake segment since 2013 has grown annually by an average of about 9 percent. Sales of wake-sports boats in the Sacramento, Calif., area topped 2017 growth percentage numbers at 37.73 percent. Phoenix was up by 34.53 percent in 2017. Right behind was the San Francisco-Oakland area at 33.33 percent. Rounding out the top five areas were Atlanta at 23.86 percent and Austin, Texas, at 18.83 percent. “People making these investments are doing it because they value their time with the family on the water,” says Eric Bondy, vice president of sales and marketing at Malibu Boats, which also builds Axis. Because wakesurfing is as much a social as physical activity, the boats are also getting bigger. The top-selling length in 2017 was 26 feet, a category that Statistical Surveys reports had a 101.49 percent sales increase that year. Malibu’s best seller is the 23 LSV, powered by a 6.2-liter Ford Raptor engine. Depending on features, the price range is in the mid “one-teens to the high 120s,” Bondy says. 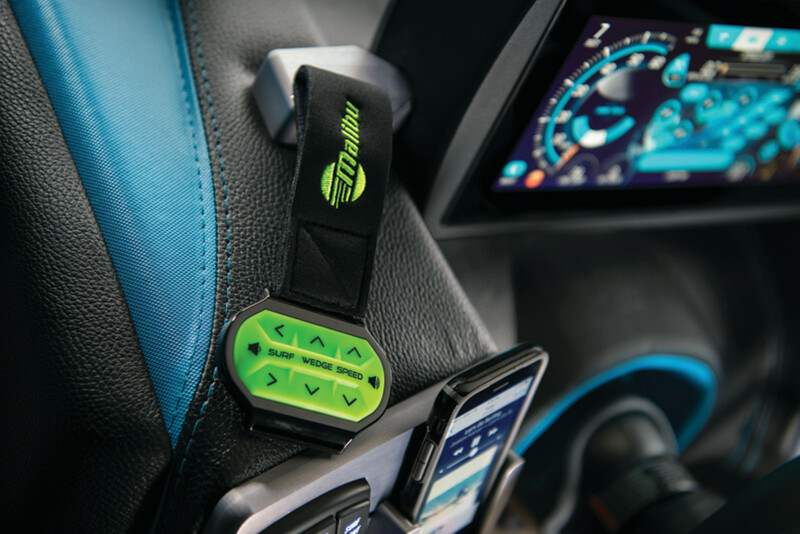 Worn on the wrist, Malibu’s Surf Band controls the wake, boat speed and stereo volume. Povlin says MasterCraft’s X23 retails at $125,000 to $160,000 depending on options and engines. 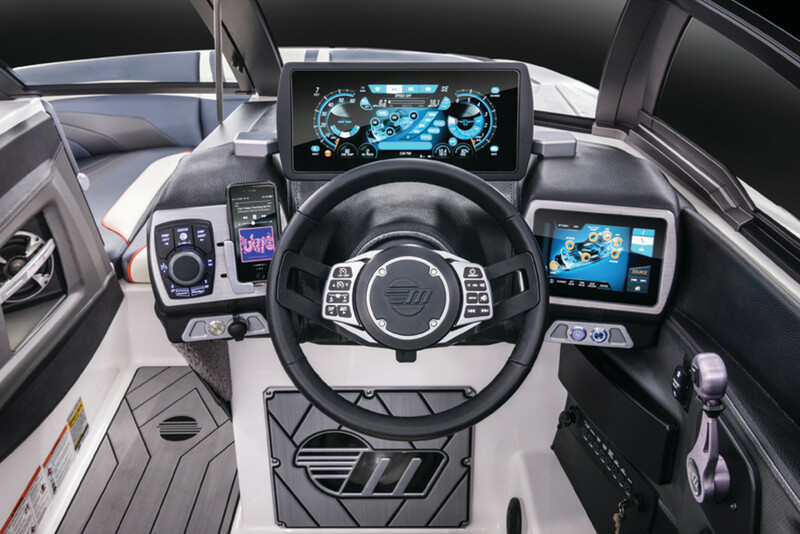 On the Nautique website, the G21 starts at $125,589. Pavati builds aluminum wake boats, and its AL24 has a retail price of $244,999. Moomba is known as more of an entry-level brand. With a 400-hp Indmar Ford Raptor 6.2-liter V-8 and a V-drive, the Moomba Max is listed on the company website at $61,580. Another entry-level option is Heydey. Its 25-foot WT-Surf starts at $54,999. 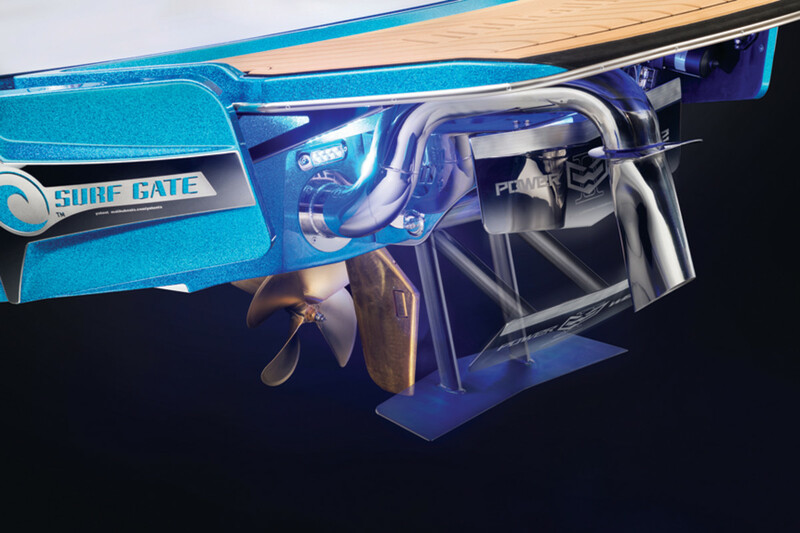 On the sterndrive side, companies such as Chaparral, Regal, Cobalt and Bryant have surf models, all equipped with Volvo Penta’s Forward Drive, a sterndrive designed for wakesurfing. Retail pricing for Chaparral’s 21 H20 Surf starts at $44,995. Bryant offers five surf models starting with its 210 at $59,934. The 23-foot, 4-inch Calandra is priced at $85,301. The larger 26-foot, 8-inch Potenza is priced at $123,641. Bob Baiguy surfing behind his Axis T22. To create wakes, boatbuilders use systems that combine ballast and appendages that resemble trim tabs. The tanks are integrated into the hull bottoms. Lamination schedules and stringer systems are designed to accommodate the added weight. Some models, such as the Regal Surf boats, have soft bladders with quick disconnects so they can be removed at times when surfing isn’t on the agenda. Baiguy’s boat can carry 2,600 pounds of ballast in two 800-pound bladders in the aft corners, a 300-pound tank on each side and a 400-pound tank forward. Additionally, the boat is equipped with the Power Wedge II, a blade-like appendage on the stern that drops down to create the equivalent of another 1,000 pounds of ballast. It basically pulls down the stern to create more wake without having to carry extra weight. It’s manually deployed from the swim platform or from the water. Depending on the model, MasterCraft boats can carry a little more than 4,000 pounds of ballast. At Correct Craft, the Super Air Nautique 210 and 230 utilize hard-tank ballast with supplemental ballast bags designed to work with the rear tanks. 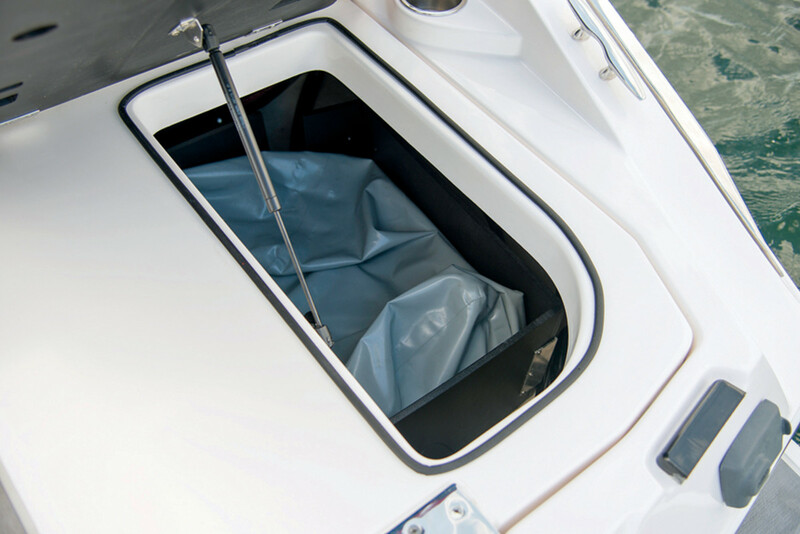 The Super Air Nautique G and GS-Series boats have subfloor ballast bags contained by the boat’s structure. The Super Air Nautique G21 carries a maximum of 2,850 pounds. All the manufacturers say bottom designs are focused on surfing but still need to be able to get up on plane and run at 30 mph when the day is over. Malibu offers two hull choices for boats less than 23 feet. Those who want to focus on surfing and boarding choose the Wakeplus hull; the Malibu Diamond hull is more for skiing, boarding and tubing. Axis stays exclusively with the Wakeplus hull because most Axis customers are focused on surfing and boarding. Most boats come with two batteries to meet the power demands of the ballast pumps and upgraded stereos. Regal uses removable ballast bladders to add the weight that creates waves. Towboats traditionally have been powered by small-block V-8 inboards, often in the 350-cid range. Many engines are built on 6.2-liter platforms. Correct Craft uses Pleasurecraft engines, and Malibu and Axis run Indmar and Monsoon. Malibu is developing its own inboards. Heyday uses Crusaders. Since 2012, MasterCraft has been exclusive with Ilmor Marine, whose engines are based on GM V-8 blocks. The 5000MPI has a displacement of 5.7 liters and produces 320 hp with a peak torque of 365 foot-pounds at 4,200 rpm. The 5500GDI has a 5.3-liter displacement, but it produces 365 hp and 400 foot-pounds of torque. With a horsepower rating of 430, the 6000GDI puts out 479 foot-pounds of torque. The 7000MPI makes 522 hp and 524 foot-pounds of torque. 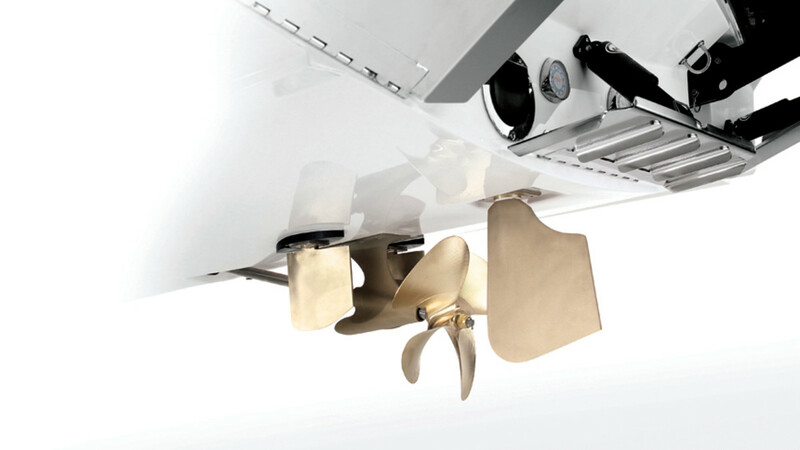 MasterCraft’s Dock Star system has two small rudders forward of the prop that improve maneuverability when backing. Ray says that to get the engine to peak torque, the propeller has to slip at rates of more than 50 percent, and the way to handle that is with gear ratios. For wakeboarding, the V-drive transmissions were geared at 1.56-to-1. Current wakesurfing boats have 2-to-1 gears, and the propeller is still slipping to run at the appropriate torque and rpm loads. Malibu’s Integrated Surf Platform has side gates mounted vertically to the stern and the Wedge, a plate that lowers into the water to create larger wakes. If running a boat at surfing speeds is a challenge for engine manufacturers, it’s equally challenging for companies that make propellers. “The surfing craze has really taken over our industry,” says Eric Johnson, president and CEO of Johnson Propeller Co., which has been manufacturing props since 1936 and supplies MasterCraft, Malibu, Supra, Moomba and other towboat builders. When the company was making propellers for slalom skiing, they had 12-inch diameters. Today’s surf boats need wheels as large as 18 inches in diameter, with more blade area and less pitch, to generate the torque needed to push a boat loaded with ballast at the correct speed. The boats could ideally use propellers with even more diameter, but there are limits because of the clearance with the inboard shaft angle. Typically, 16 degrees was the norm, but now boats have angles up to 28 degrees to provide the clearance for the bigger props. Materials haven’t changed, with props still made of the nickel-bronze alloy Nibral, and every prop is CNC-machined. Of course, a bigger prop brings a bigger price. Retail pricing for a 15-inch Johnson wheel is about $700; an 18-inch four-blade is about $1,000.